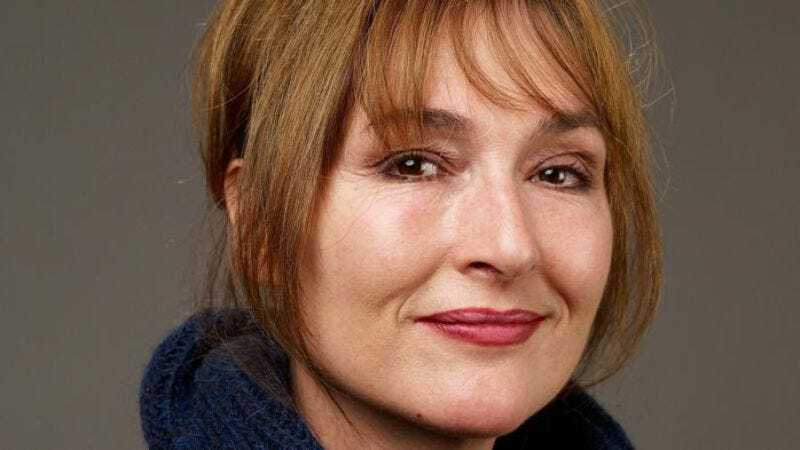 From a five-year stint on Saturday Night Live to appearances on Entourage and in movies like Three Kings and Pineapple Express, Nora Dunn’s performances have been reaching millions of people at a time for more than two decades. For two nights only, May 13 and 14 at the Bartell Theatre, Dunn will be presenting Mythical Proportions, her new one-woman show. The A.V. Club spoke to the Ukranian Village resident about the show and her creative process. The A.V. Club: What’s this show all about? Nora Dunn: I think at the end of a show, you have to walk out with a message. That’s my hardest struggle right now; that’s what I’m working towards. Some of these stories I’m telling become mythical. I go on these trips and things happen to me, and I never phone in a trip; I try to stay very present. I end up having these experiences that are, to me, very powerful. People tend to tell me these very personal things when we’re waiting in a terminal or we’re on a flight together. Sometimes it’s funny, and sometimes it’s very sad. I met a man who, I was looking at him and thinking, “What’s wrong with him? He’s kinda gray, his lips are white, but he’s young… I don’t know. If he’s drunk, he’s gonna talk to me.” Turned out, he had an inoperable brain tumor. He was a musician from Germany. His fiancée had left him because he’d used up all of his funds and he wasn’t making any money, and he came to California to visit a friend and get some treatment. While he was playing his saxophone in Venice, a professor from Notre Dame was walking by, and that professor hired him to come to Notre Dame, teach a seminar, and play in this sort of classical jazz ensemble in Chicago. He also said he was going to fall in love again and that he was going to live his life for as long as he had it. I thought, “I want this to be part of my theater piece. It’s not stand-up comedy. It’s not laughable.” But then there was also a woman who sat down next to me and told me she didn’t have a uterus within 30 seconds of sitting down. And that struck me as funny. AVC: So is Mythical Proportions mostly autobiographical? AVC: How does writing for yourself when you were on SNL compare to writing for yourself in this show? ND: It’s similar in that you don’t get paid for it. We never got paid or received credit for writing. Myself, Dana Carvey, Dennis Miller, Phil Hartman—we wrote as much as the writers wrote. But the nature of that show—it’s not prime time, there’s a certain budget, and performers don’t get paid to write, therefore they can’t get credit for it either. But I came in with specific characters, and I wrote for those characters, and it was fun. I wanted to write. I haven’t been on a show since where I could write. AVC: How would you describe the humor of this show? ND: Sometimes it’s kinda silly, and sometimes it’s dark. Sometimes, it’s kind of sad. I have a character, Crystal Lynne Pickett, and every guy she dated turned out to be a serial killer, but she would make excuses for him. When Roseanne had a talk show, I went on there as that character. The audience believed that I was her, and they were appalled. Gary Shandling was the guest, and I had met him a few times, but I went back to his dressing room before the show in full costume, in character, and he didn’t recognize me at all. They were ready to call security.